Here at D4R we have been working on a collaboration with brand design agency Studio Juice having just successfully designed, developed and implemented a variety of launch zones and brand activations to launch the adidas Z.N.E Hoodie, Zero Negative Energy, as well as both men’s and women’s ranges of Athletics apparel and footwear. The new Z.N.E hoodie is designed to optimise training and block out any external distraction, maximising pre game focus. Studio Juice worked on the campaign creative, a suite of POS and windows for all stores, whilst here at D4R we concentrated our retail design skills around bespoke hardware and the pop up spaces themselves. 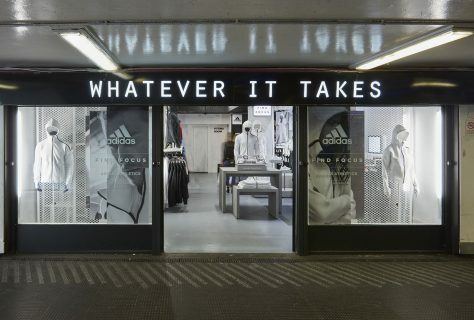 The launch destinations landed in a number of key retail environments in the UK and Ireland such as Harrods, Greaves sports (shown in the last photo) , Pro Direct and John Lewis on Oxford Street with a feature, month long pop up store for ‘Whatever It Takes’ at the Old Street Underground Station, Shoreditch. 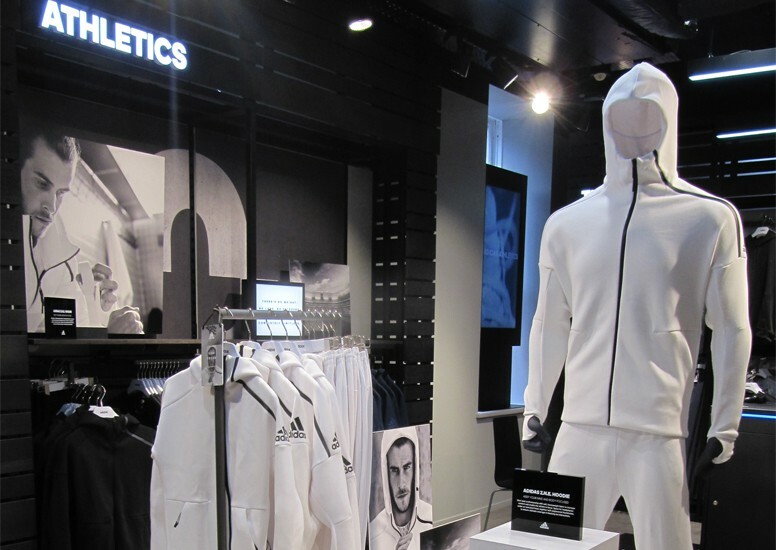 The store needed to be eye catching and inviting to showcase the new adidas hoodie enabling you to get in the zone. With layered windows either side of the entrance we have created an eye catching fascia to attract attention as you leave the tube station. 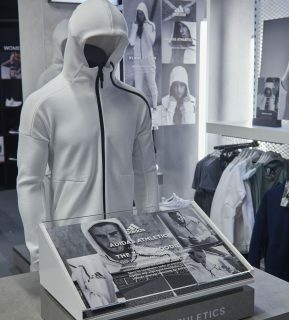 Inside, the challenge was to tell the story of the campaign and apparel within a relatively small space. We have therefore introduced a clever mix of VM hot spots, props and campaign imagery to lead the consumer around the space. 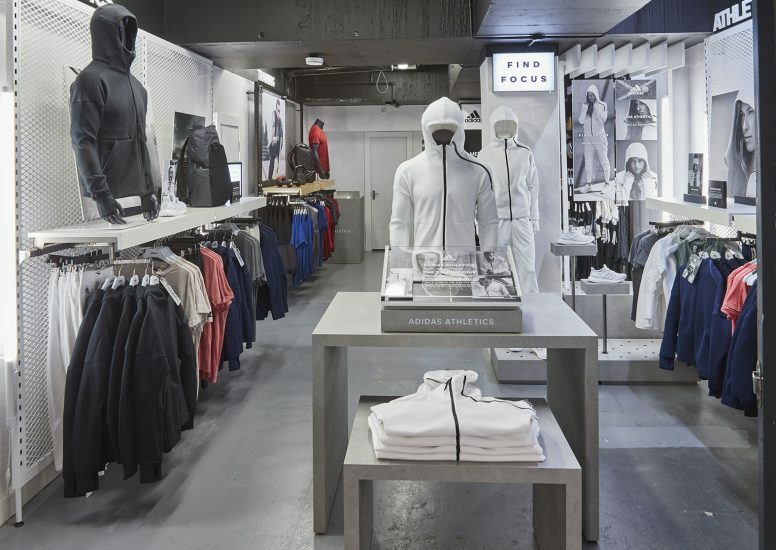 We designed, developed and manufactured all bespoke fixtures to create a modern urban environment in keeping with the campaign and the store location. We think this pop up store concept space within Old Street tube station is an interesting development with amazing potential that will brighten up many commutes around the capital. 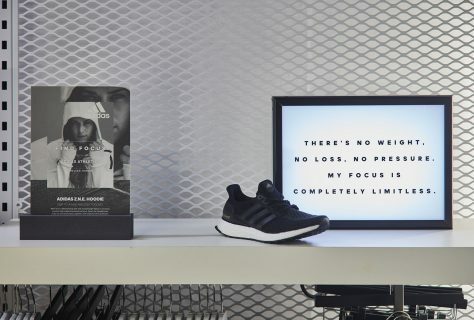 The Old Street pop up stores are definitely worth a visit, other stores include Kanye West’s Life of Pablo, a Tate Modern space and even Tetra an aquatic pet brand, featuring extremely large fish tanks as their window displays. 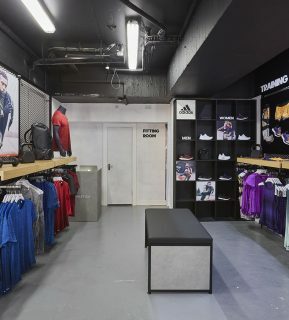 It’s been a pleasure to work in partnership with Studio Juice on such an exciting launch campaign and we very much look forward to more great opportunities with the Adidas UK team!